The Department of Fire Protection Engineering undergraduate degree programs feature hands-on projects and experiments in cutting-edge education labs, renowned faculty with professional experience, and is the only ABET accredited undergraduate FPE program in the world. Rachel Lentchner (B.S. '18), former Clark School and FPE Ambassador, now at Coffman Engineers. This B.S. degree program is concerned with the application of scientific and technical principles to the dynamics, mitigation, and suppression of fire. It is a growing engineering discipline that covers a broad range of career opportunities including: safety assessment reviews, hazards analysis and research, loss prevention and regulatory issues. Fire Protection Engineering is Hot! Students enrolled in the Department of Fire Protection Engineering's (FPE) B.S. program may apply to our Combined Bachelor / Masterof Science program. This requires a GPA of 3.50 or higher and 90 or more degree credits. The Combined Bachelor of Science (B.S.) / Master of Science (M.S.) program allows students to complete both degrees in approximately five to five and a half years. Students enrolled in the Department of Fire Protection Engineering's (FPE) B.S. 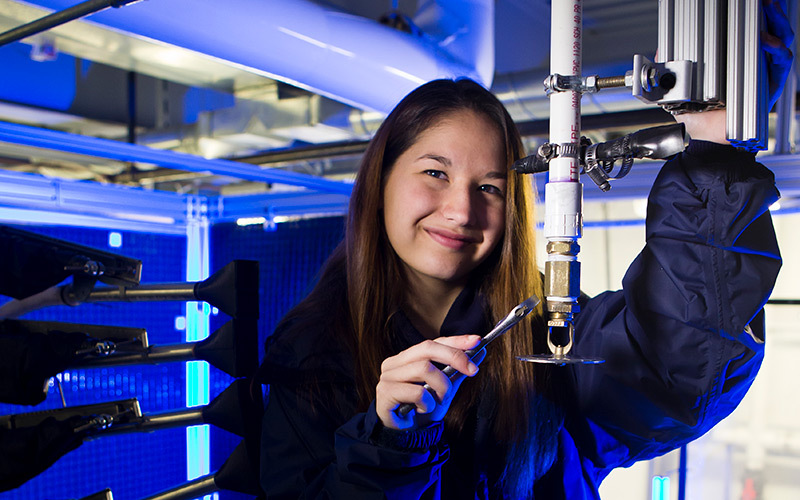 program may apply to our Combined Bachelor / Master of Engineering program. This requires a GPA of 3.50 or higher and 90 or more degree credits. The Combined Bachelor of Science (B.S.) / Master of Engineering (M.Eng.) program allows students to complete both degrees in approximately five to five and a half years.